Tarps or similar protective plastic. Even the professional painters drip paint from time to time. 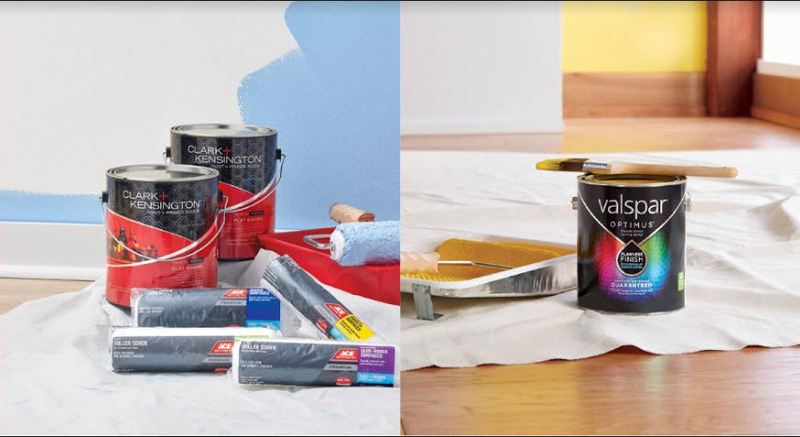 Protect your furniture, carpet, and hardwood floors by laying down tarps or similar protective plastic materials to capture any errant paint drops. Tape. Painters tape is great for protecting areas for which tarps are impractical. For example, you will want to use painters tape around light fixtures and outlets. Painters tape can also help first-time painters nail edges. Ladder and step stool. Not a necessity, but having a ladder and step stool can really improve your painting experience. This is especially true if you have tall ceilings that cannot be easily reached even with an extended paintbrush. An angled brush for use in painting straight lines around wall intrusions like windows, doors, and baseboards. A roller brush and handle. Roller brushes are ideal for the long wall stretches. Note, however, to paint with long, even rolls to prevent excessive splattering and uneven paint. A small craft brush for use in evening out paint lines along trim work and around things like doorknobs and light fixtures. Painting trays. There are a variety of painting trays that you will have to choose from at your local ACE hardware store. Choose one that is wide enough to easily fit the width of your roller brush and with pockets to easily store angled brushes and small craft brushes upright. Ready to get started? Take measurements of your room and bring it and this list to Tashman Home Center, your local ACE Hardware store to take advantage of the best painting deals. Contact us at (323) 285-3063 or visit our website at https://www.tashmans.com.